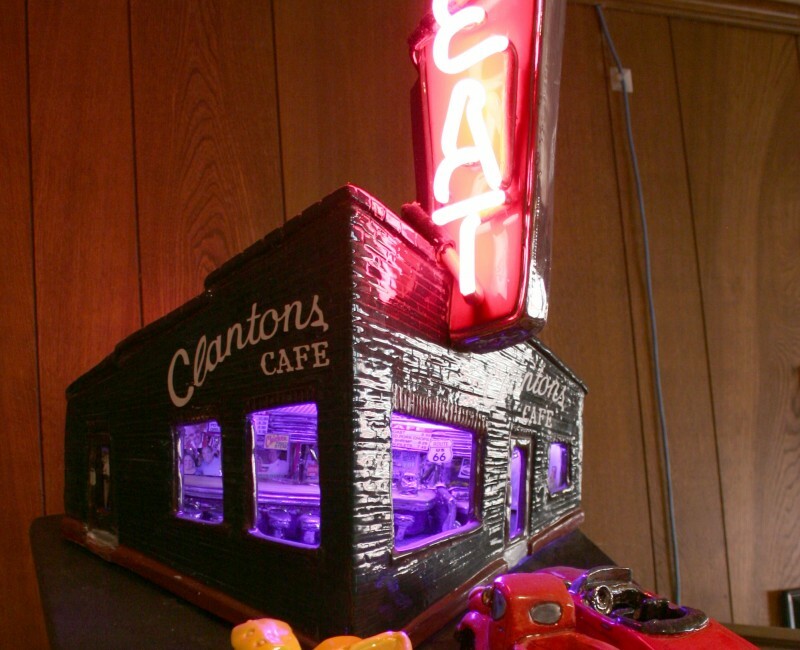 Dennis and Melissa Patrick commissioned this piece from artist Jerry Berta who specializes in ceramic and neon sculptures. 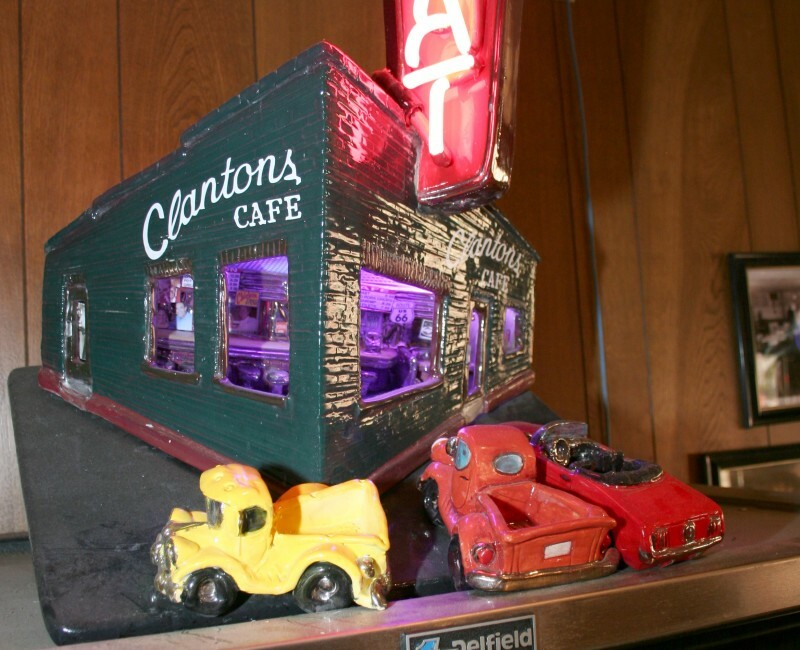 They wished to commemorate Clanton’s historic significance on Route 66. 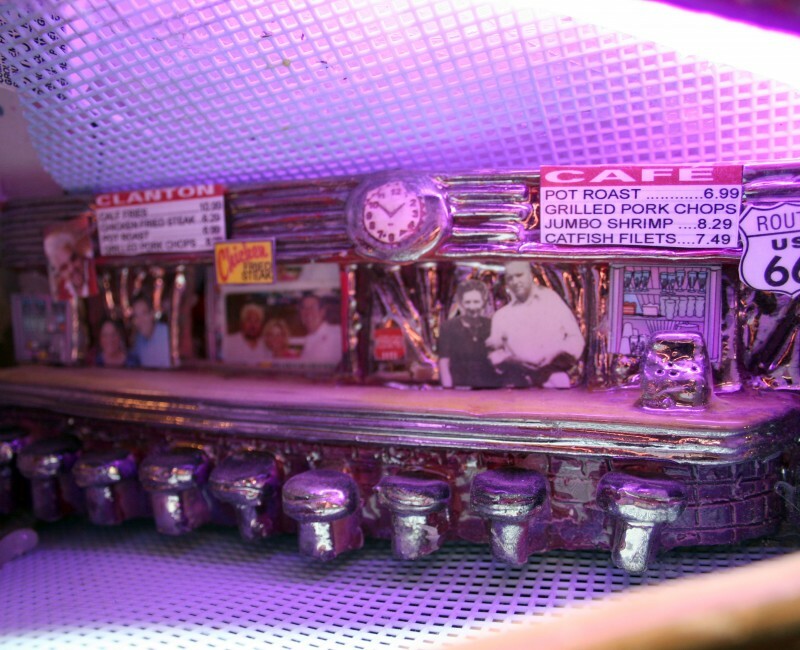 The building is a local icon and deserves the special attention of this well renowned artist. The artist pays attention to every detail. 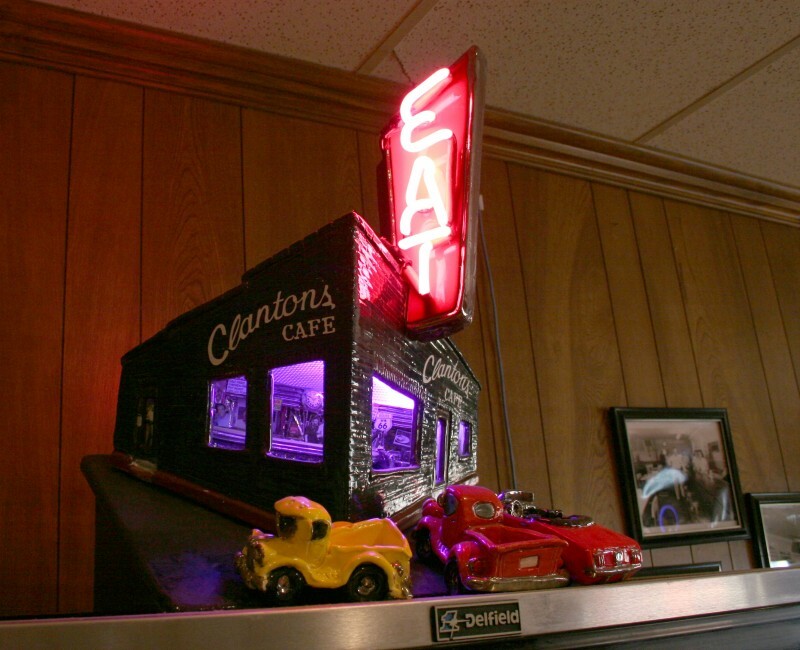 The menu board has pricing for some of Clanton’s specialties like their World Famous Chicken Fried Steaks, Calf Fries and Chicken and Dressing. 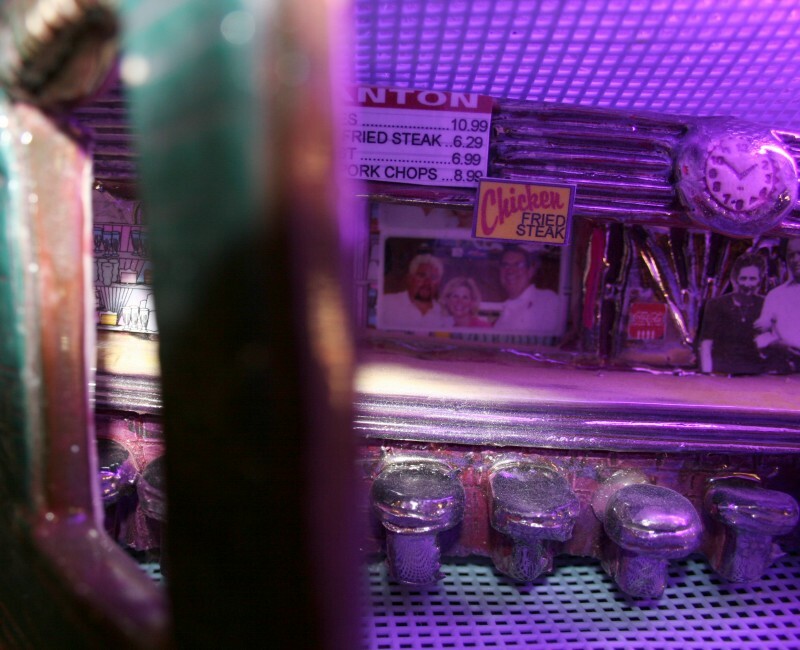 The interior is lit with a violet light and contains photos of Dennis and Melissa along with Guy Fietti from Diners Drive-ins and Dives. 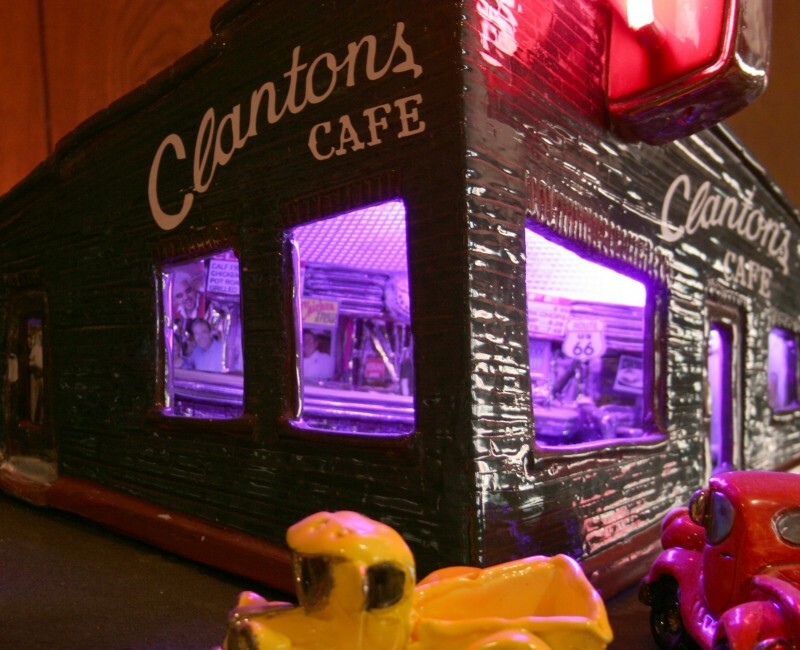 There is also a photo of “Sweet Tator Clanton, the man who started it all. 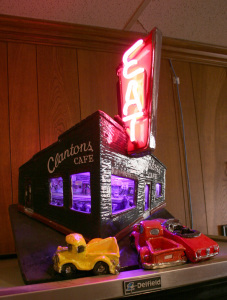 Come in and see the sculpture and while you are here enjoy some of our famous home town hospitality and tasty fare. 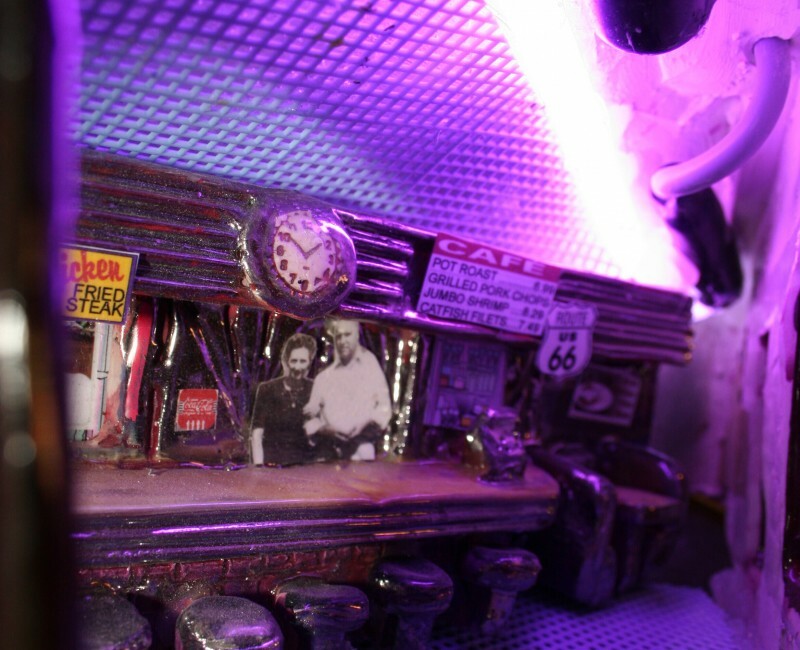 Please enjoy the slideshow of our building sculpture below.